Dr. Ann Norwood is a senior associate at the UPMC Center for Health Security. A retired Army colonel, she is also associate professor of psychiatry at the Uniformed Services University of the Health Sciences (USUHS), and a physician board certified in psychiatry who has spent much of her career involved in the mental health aspects of disaster preparedness, response and recovery. Norwood joined the Center after serving as a senior policy analyst in the Office of Preparedness and Emergency Operations, Office of the Assistant Secretary for Preparedness and Response at the U.S. Department of Health and Human Services. Prior to that, she served for 15 years in various capacities as billeted faculty member at USUHS, culminating in her position as associate chair. From 2003-2004 Norwood was assigned to Walter Reed Army Medical Center with duty at the Department of Health and Human Services as the senior advisor for public health risk communication, in the Office of the Assistant Secretary for Public Health Emergency Preparedness (which subsequently became the Office of the Assistant Secretary for Preparedness and Response). She retired from the Army in 2004. Norwood is Associate Editor of the peer-reviewed journal, Biosecurity and Bioterrorism: Biodefense Strategy, Practice, and Science. She is widely published on the mental health aspects of biological and radiological terrorism, disasters and the unique stresses associated with military service. She also lectures and participates in panel discussions on these topics. Norwood received her A.B. from Vassar College and her M.D. from the F. Hébert School of Medicine at the Uniformed Services University of the Health Sciences. She completed her psychiatry internship and residency at the Letterman Army Medical Center, and received disaster psychiatry fellowship training at the Uniformed Services University of the Health Sciences’ Center for the Study of Traumatic Stress. F. Hébert School of Medicine at the Uniformed Services University of the Health Sciences, M.D. Dr. Norwood joined the Center after serving as a Senior Policy Analyst in the Office of Preparedness and Emergency Operations, Office of the Assistant Secretary for Preparedness and Response at the US Department of Health and Human Services. Prior to that, she served for 15 years in various capacities as billeted faculty member at USUHS, culminating in her position as Associate Chair. From 2003-2004 Dr. Norwood was assigned to Walter Reed Army Medical Center with duty at the Department of Health and Human Services as the Senior Advisor for Public Health Risk Communication, in the Office of the Assistant Secretary for Public Health Emergency Preparedness (which subsequently became the Office of the Assistant Secretary for Preparedness and Response). She retired from the Army in 2004. Dr. Norwood is Associate Editor of the peer-reviewed journal, Biosecurity and Bioterrorism: Biodefense Strategy, Practice, and Science. She is widely published on the mental health aspects of biological and radiological terrorism, disasters, and the unique stresses associated with military service. She also lectures and participates in panel discussions on these topics. 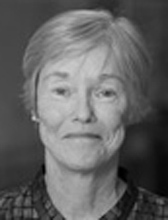 Dr. Norwood has served on many military, governmental, and NGO working groups, committees, and task forces including the Defense Science Board, Task Force on Gulf War Health Effects; the American Psychiatric Association Committee on Psychiatric Dimensions of Disaster (Chair, 2000-2003); the American Psychiatric Association Work Group on Practice Guidelines for the Treatment of Patients with Post-traumatic Stress Disorder; the HHS Executive Steering Committee on the Allocation of Scarce Resources Following an IND; and the Disaster Mental Health Subcommittee under the National Biodefense Science Board Federal Advisory Committee, HHS. Dr. Norwood has received many awards and honors during her career, including the Surgeon General of the Army's "A" Designator, and the Association of Military Surgeons of the United States' William C. Porter Award for Outstanding Contributions to Psychiatry. She is a Distinguished Fellow of the American Psychiatric Association, a member of the International Society for Traumatic Stress Studies, and an associate member of the National Public Health Information Coalition.